In a world that expects you to keep doing, moving, producing, and contributing, it can feel impossible to reconnect with your essential self. But discarding your social self and embracing your essential self is imperative to your internal peace and happiness. This day long retreat could be exactly what you’re longing for. Together, we’ll settle into nature and seek clarity…or simply settle into stillness to tune in. The day will be a mixture of journaling, art, meditation, movement, and group sharing. The only expectation *I* have of the day is that you show up and be present. Nature, writing, movement, and art will provide all the material and direction you need. Workshop: 10 am – 4 pm with a one-hour break for lunch (BYOL: please plan to bring your own lunch – there is a refrigerator onsite to store your items). Registration is LIMITED to 12 people. 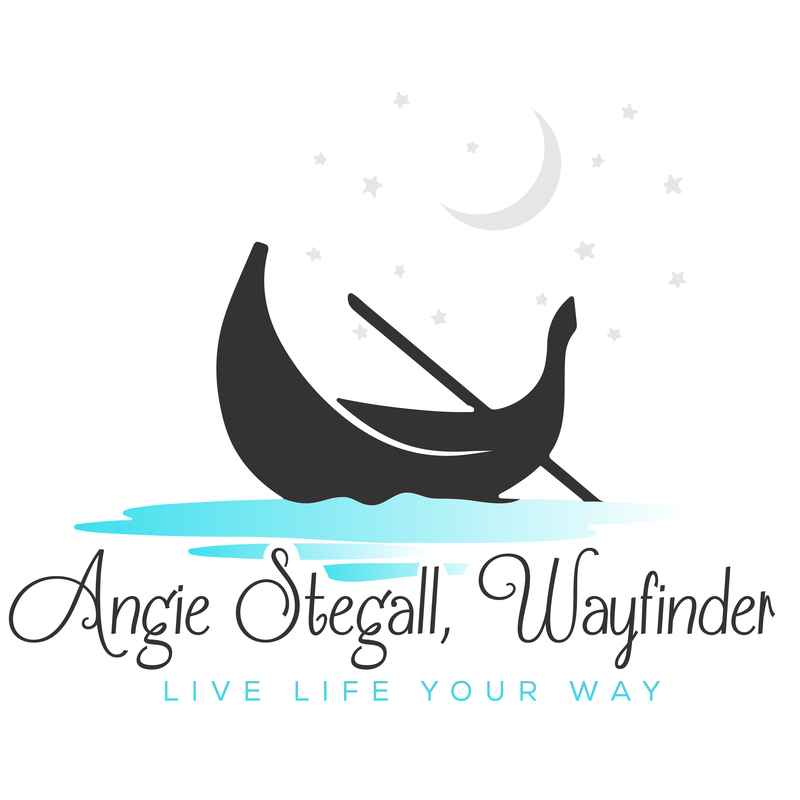 Join award-winning author and Wayfinder Angie Mattson Stegall as she immerses you in the concept of Notes from Nature – tune in to your inner voice by letting nature take the lead. Angie has discovered, through a life deliberately designed around time spent in nature, that nature gives her answers, messages, signs, and even gifts. When her heart is heavy, when she’s feeling detached from her essential self, or when she’s struggling with life or business, the solution is disconnecting from “normal life” and connecting to nature. During this day-long seminar, you’ll have the chance to explore a different path to your own wisdom – one that includes your six senses and the natural world. We’ll use the wheel of life as our grounding point to review our whole personal ecosystem. We’ll examining our stories about the wheel of our life with quiet reflection time in nature and through journaling. If you discover those stories no longer serve you, you’ll be invited to rewrite them by making conscious decisions about how to move forward in new ways, big and small. That rewrite could be in words (written or verbally shared or through a piece of natural art you’ll be invited to create). There will be time outside in nature, writing prompts for reflection, and time to make natural art to express that which you either cannot put to words or that doesn’t need words. Throughout the day, we’ll gather and share our insights, discuss what we learn about essential selves after spending quiet time in nature, and share the art we create…especially what it means to about us. Using silence, time in nature, and powerful questions, you’ll learn to tune in to your inner voice, which will help reveal where you are stuck in your thinking and actions, where you are holding yourself back, and what patterns keep you from getting what you say you want. These answers can inform your decision-making and planning, both personally and professionally, provoking change in powerful and unexpected ways. Additionally, you’ll get a signed copy of Angie’s newest book Notes from Nature: Tune into Your Inner Voice by Letting Nature Take the Lead. Dress comfortably and come prepared to spend some time out in nature, whatever the weather (this means rain, snow, or sunshine). After two glorious years traveling the country, my husband, dog, cat, and I have settled back in North Carolina to be with family. Copyright 2018. All rights reserved. Angie Stegall.